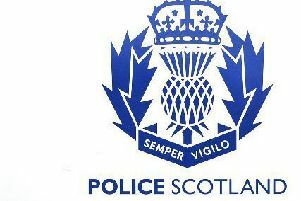 A review of Police Scotland’s call handling has made 30 recommendations for improvements to the service. The report, by HM Inspectorate of Constabulary in Scotland, says that the Scottish Police Authority should not approve any further plans to centralise call handling facilities until it receives independent assurance that Police Scotland is ready. The report followed Police Scotland’s failure to respond for three days to calls to a car accident in which two people died. Mr Penman continued: “There was an initial focus on meeting deadlines and increased productivity rather than a well-managed project with a focus on customer service, good staff relations and thorough process design. Police Scotland responded quickly to the report. Deputy Chief Constable Rose Fitzpatrick said recommendations from the HMICS report would be implemented to ensure the service continues to strengthen call handling and deliver a modern service for communities. “Handling 999 and 101 calls is a key part of our frontline policing response,” she said, “We will now implement the recommendations provided by the HMICS as we go through the next steps of our improvement programme. “HMICS has highlighted a number of specific assurances around capacity, capability and processes including staffing levels, training, basic processes, management of high priority calls, risk assessment and information and communications technology which provide confidence to the public about telephone contact with the police. “Maintaining the eight previous systems to manage calls was no longer a viable option,” she continued. “Making changes in how we deliver, manage and improve that service for the public is highly complex and the report highlights that. We remain only part of the way through a programme of improvement aimed at delivering a model which will provide continued high levels of service. And he attacked the SNP Scottish Government describing its handling of Police Scotland as been casual and cavalier, undermining the excellent work of police officers and civilian staff.